Those 2600s. Those darn, wily, 2600s 🙂 . They’re always slipping out of my craftily woven webs, at the last possible moment. They remind me of Scylla and Charybdis, ancient monsters in Greek mythology. When passing through a strait, if ships drift too close to the port side, Scylla would feast on the ship and its crew. 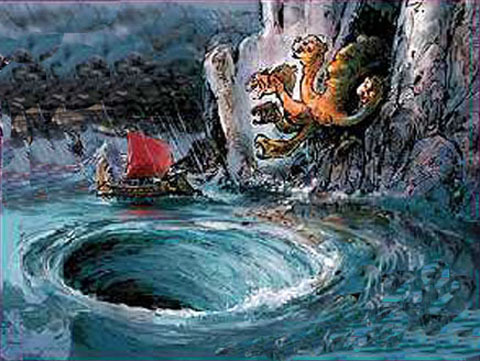 If the ships steered off to the starboard side, they would fall prey to the massive whirlpool known as Charybdis. The hydra-headed Scylla and the churning Charybis. Got to find that elusive path. To put this analogy into chess context, 2600 GMs represent two dangers as well. The first is that they can effortlessly demolish you given an opportunity. The second is that they’re highly resistant and tenacious. Even when we have an edge, they don’t go down. So just like seafarers in our Greek mythology, when encountering Scylla and Charybdis, one has to find that narrow, near-elusive path through the middle that takes you to safety. This mean perfect balance and perfect calculation. On occasions, I’ve found the path, only to slip from a Winning position into a Draw when close to reaching the end. Here are two encounters, with game notation. 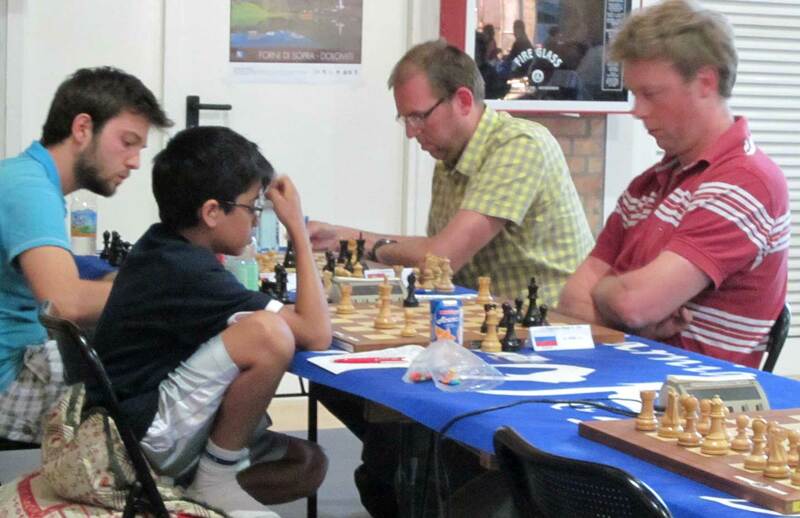 In June 2013, I was paired with GM Sam Shankland in the NY International. I had completely outplayed him the whole game, and had achieved an elementary 2 vs 1 rook endgame. Unfortunately, I managed to find the whole move which didn’t win. I played Ke5?? 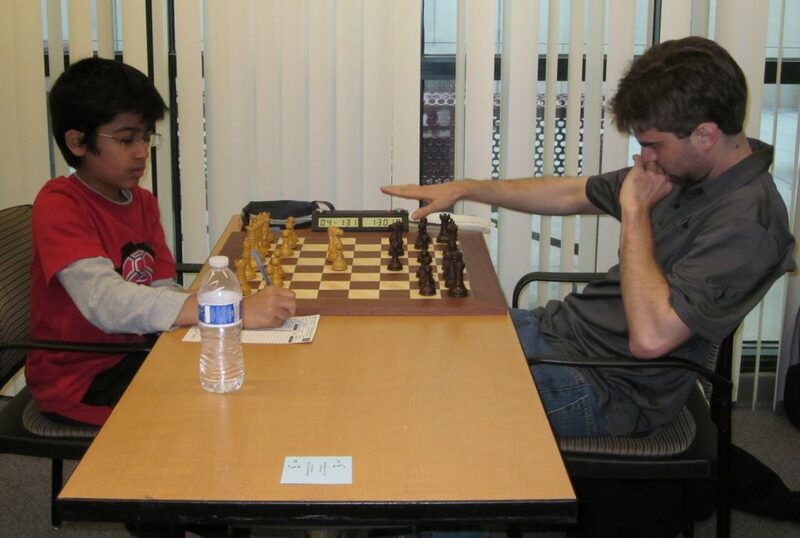 before realizing that g5 draws, since the pawn endgame after Re6, Rxe6, Kxe6, Kh7 is a dead draw. Aargh! Not again ! Just as I was close to the end, I let the 2600 GM slip away at the last second, after being in total control throughout. Perhaps it was fatigue, but the one thing I learnt is that to beat the 2600’s you gotta play perfect throughout. You don’t get points for playing great 99% of the game. With all that being said, enjoy the game which has my annotation too. More about the NY International tournament, including this game, can be learnt from my earlier report here. I wasn’t able to decipher my notation sheet after that, but I remember the position at the end. 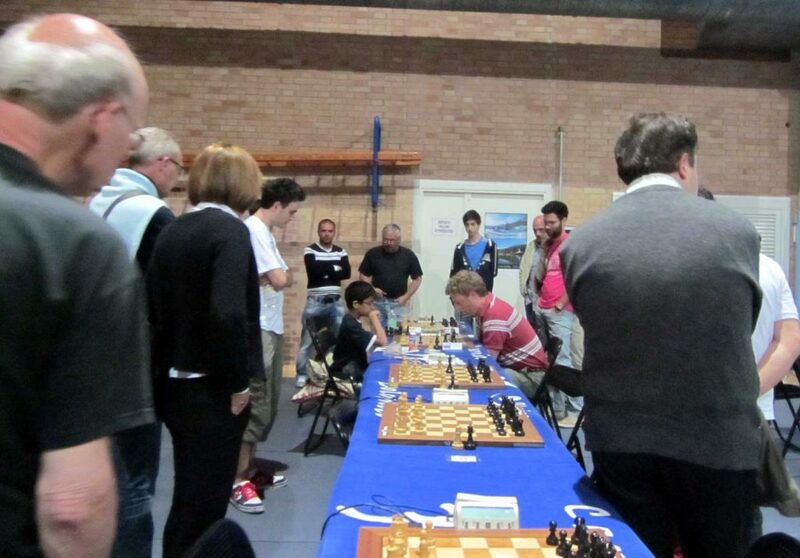 Another encounter with a 2600 GM was at a tournament in Forni Di Sopra, Italy. 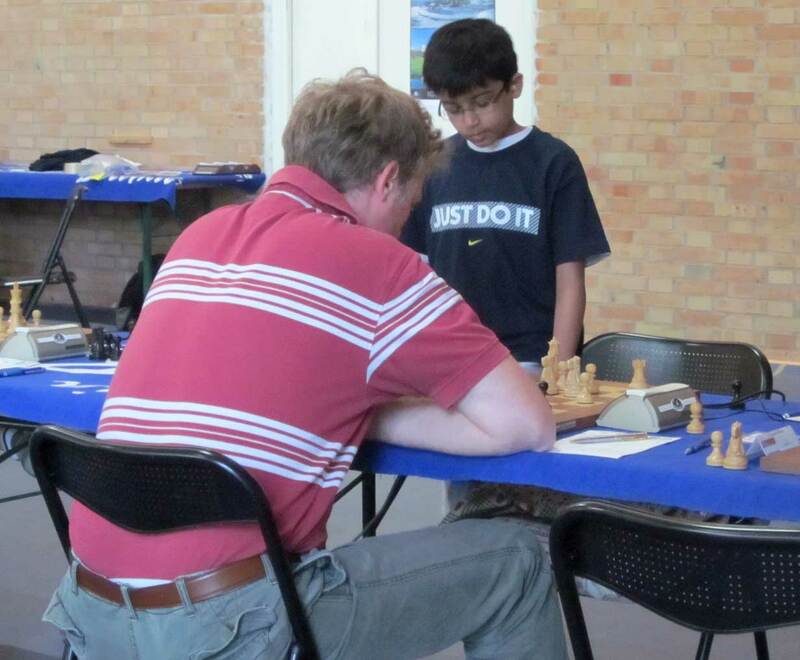 I was starting the tournament with a rating of 2154, and was set to play Spaniard GM Korneev Oleg (rated 2580 at the time) in the first round. Suddenly, the pairings changed as we were about to sit down. I was no longer playing GM Oleg. I was playing Russian GM Pavel Tregubov (rated 2597 at the time, but we’ll just round up to 2600 🙂 . His peak rating was 2658, so this guy was no joke 🙂 . After my usual 1.e4, Pavel played the Paulsen Sicilian. He made an inaccuracy early on, and suddenly I developed a serious advantage after playing 12.g4 ! His pieces were all tangled up with each other, and so I kept the pressure up with 16.f5. I could tell that Pavel was psychologically rattled, since his legs were shaking, and his face was really red. Pavel played 16.Rxc3, a typical Sicilian exchange sacrifice, but in this position it was just plain bad. I think he missed my 19th move,Qd5. After swapping queens, I was so sure that I was going to win. The thought of messing up, didn’t even cross my mind. As the game went on, I suddenly started to become doubtful. We had reached 40 moves, and I still hadn’t won, in what had seemed like a fairly straightforward position. I had brought my King over to the Queenside, strutting his majesty all the way to c6. Pavel defended tenaciously, and was able to execute the correct idea of sacrificing his bishop for my a-pawn. Despite being a rook up, his 3 pawns were too much to deal with. After 5 1/2 hours, I had to settle for a Draw. The result was disheartening, since it had seemed like an easy win on move 19. I learnt then, that there’s no such thing as an easy win against a 2600. Well at least Christmas came early for Pavel. More can be learnt from my earlier tournament posting.